This is a very special image for me. It scored 80 on WPPI (Wedding and Portrait Photographers International) 16x20 print competition, win a Silver award and was displayed with the best images on the wall. 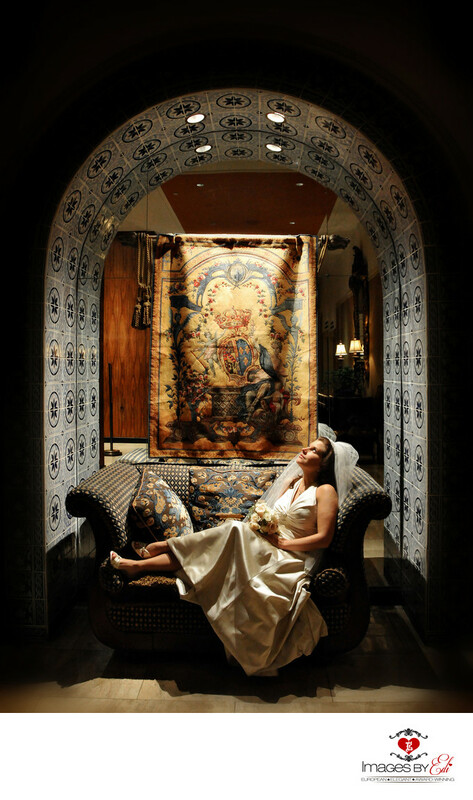 It shows a bride, who is sitting on a coach framed by a very beautifully designed arch, looking into the distance, during their Green Valley Ranch Las Vegas wedding. Location: 2300 Paseo Verde Pkwy, Henderson, NV 89052. Keywords: Bride alone (150), Green Valley Ranch Las Vegas Wedding Photography (6), Las Vegas Wedding Photographer Green Valley Ranch Las Vegas Wedd (6), Las Vegas Wedding Photography (642).